You can’t discuss the history of Miami without taking a detour into Overtown. The neighborhood, one of Miami's oldest, was created in the early 1900s for Miami’s black population, who were allowed limited—if any—access to other parts of the city. Performers like Cab Calloway, Nat King Cole, Ella Fitzgerald and Sammy Davis Jr. often stayed in Overtown while performing in Miami, mainly because it was the only place they were legally allowed to sleep at night. Consequently, it became the city’s most exciting cultural hotspot. 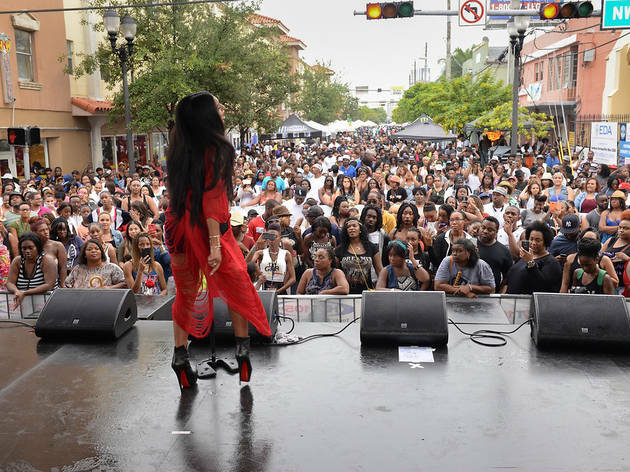 What is the Overtown Music and Arts Festival? An outdoor concert with games, food and local vendors. 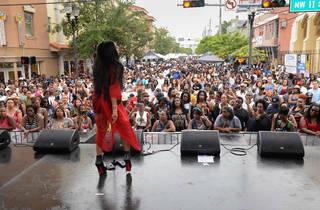 When is the Overtown Music and Arts Festival? July 14, 2018. Where is the Overtown Music and Arts Festival? At NW 2nd and NW 3rd Avenues between 8th and 10th Streets. How much are tickets to the Overtown Music and Arts Festival? The event is free and open to all ages.